View and convenience, this condo has it all. With a beautiful view of a lake and golf course in the back, the community pool right in front and Pawleys Island Beach just a few minutes away. Some condo features include: an open floor plan, vaulted ceilings, granite counter-tops in the kitchen, new kitchen cabinet doors & hardware, new full size washing machine, new paint, no carpeting, screen porch overlooking the lake and golf course. Located in the True Blue golf course community with long and short term rentals allowed. 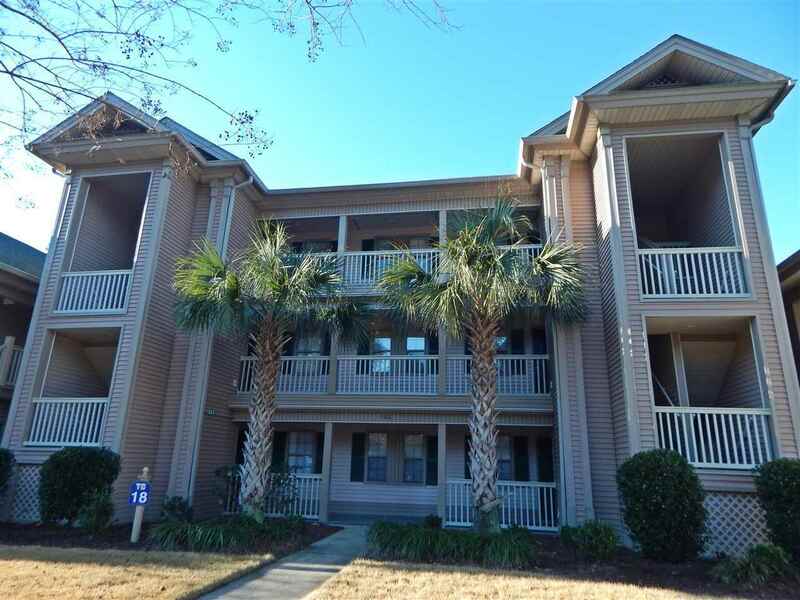 Close to 8 other golf courses and everything Pawleys Island has to offer. Measurements and square footage are approximate. Buyer is responsible to verify.